I was waging the War Against The Piles. I couldn’t take it anymore. I groaned as I came across another pile. Pile of clutter. Why oh why can’t the surfaces in this house stay clear?! When there is a clear surface, it lasts for a mere few minutes! Pile of someone’s red raffle tickets (where did they get them from anyway?) on the the third bookshelf in the family room. Pile of someone’s marble collection on the fourth bookshelf. Pile of yet another child’s abandoned coloring sheet collection on my right kitchen counter. And there center stage on my kitchen island was a pile of Lego from the “precious pieces” collection. Someone’s coin collection hiding in another corner. They each have their own storage bin, they have drawers and closets and plenty of place for their stuff. Why can’t they keep their stuff where it belongs? 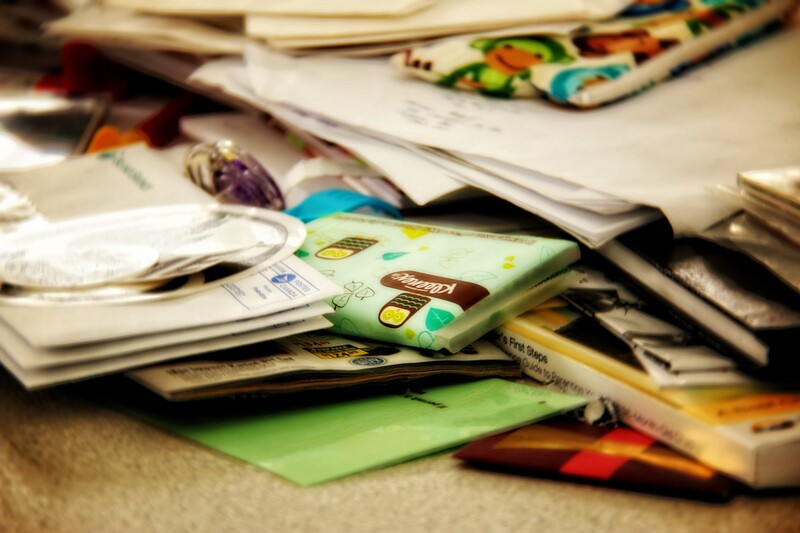 Pile of mail. Pile of MY lists, topped with my little yellow notepad, on my left kitchen counters. Now I feel indignant. It’s MY kitchen anyway, so that’s allowed! When we moved into this house one year ago, I clearly remember looking at all the clear surfaces (before we unpacked!) and making a silent commitment to myself; this house is going to be clutter free. Pile free. Stuff free. Only necessities. Just like those photos in the Better Home magazines…miles of sparkling, clear surfaces. Clear bookshelves. Clear counters. Nothing on the counter! No canisters, no ingredients, no fruit basket. Nothing nothing nothing. It would be so beautiful. And after I heard rumors of people who actually keep their kitchen like that, I was sold. I was going to be one of them. And this kitchen had a nice big island counter. The type you have a love-hate relationships with. The one that’s a magnet to STUFF and looks amazingly refreshing when clear. And it worked. For two days. Three days! But I was anti STUFF. All things had a place, and if it didn’t, then it was labeled STUFF and put far away from any surface. A week went by. I was on a roll! And then real life kicked in. Kids made new projects. They got new coloring sheets. They colored and then piled it on the counter while they ran off. Scissors needed to be put up higher so little hands didn’t give themselves a haircut. Glue needed to go even higher so the dishes weren’t glued to the table. The top bookshelf was getting full. And I needed to reevaluate my optimistic plan. But I didn’t want to give it up. The counters were so nice and refreshing when sparkling and clear. True, it made cooking a pain in the neck! Nothing was at arm’s reach… and no one was eating fruit, it just wasn’t accessible enough…but still! And that’s when I took a closer look at my piles of STUFF. My clutter on the bookshelves. The stuff on high surfaces. I examined it closely. This was not merely STUFF. No, not at all! This was the sign of life! The sign of people. Big and small. Active people. Little hands working on their projects. Little minds growing and developing. Adults busy with life. Busy nurturing and caring for their children. A kitchen where people eat in! Where food is cooked with love. And a lot of it. And often. And lots of signs around to show for it. Kids who trusted their parents with their “valuables” and therefore left them where they can watch them. It didn’t have to be a war. It wasn’t a war! There was another way to tackle it. And at that moment I decided that I would attempt the “friendly relationship” tactic. Not a truce. Not a compromise. I was going for outright friendship. I wanted all that this represented. I cherished it. And if this was the outcome of getting what I wanted, well then, I would be best friends with it. It’s still clutter. It’s still piles. And I still tell everyone to put their stuff where it belongs. But I am not at war. I will still tackle it, but with an appreciation for what it represents. It’s a real home. A warm and loving, vibrant home. And I’m the one who can make sure my home stays like that.